Who would ever expect a Subaru station wagon to leave them in the dust at a stop light? 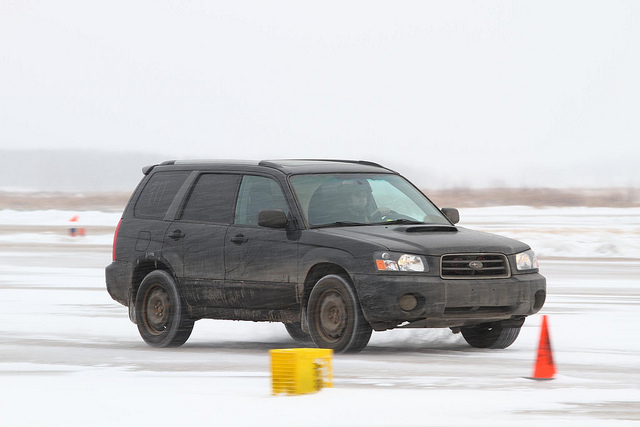 The Forester 2.5 XT was an awesome sleeper when it came out in 2004, and it remains an awesome sleeper to this day. Subaru fans will spend a pretty penny to get their hands on this rare vehicle, and for good reason. The XT was outfitted with a 210 horsepower 2.5 liter four-cylinder boxer engine. A turbocharger gave it extra zip and a drive-by-wire system replaced the cable system for the throttle. This all-wheel drive crossover was able to hit 60 mph in 5.3 seconds. With speed like that the Forester XT was able to keep up with the WRX, surprising for a station wagon.